Hmmm. 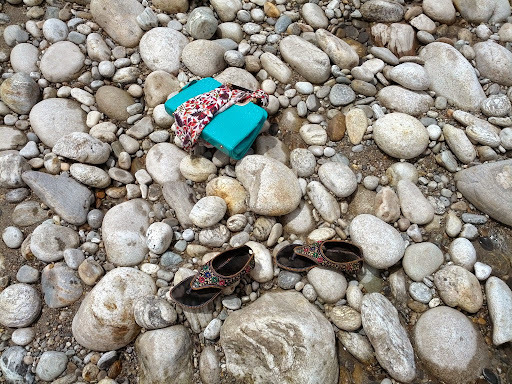 Someone left their belongings went went away for rafting, or swimming perhaps. I hope she still remembers where she had kept these after they return. These were lying unattended at the riverside.